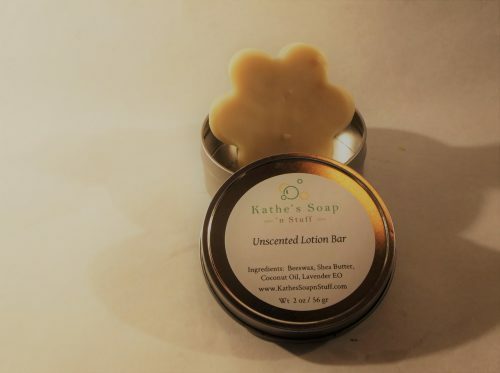 Short Product Description: 2 oz Lotion Bar for moisturizing dry, rough skin. 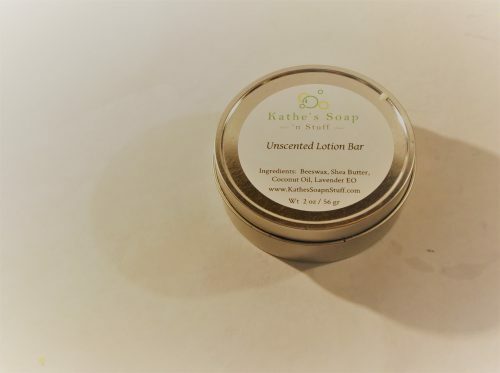 Perfectly sized at 2 oz., these lotion bars are great for travel or keeping at the office. the are compact and convenient as well and easier and less messy than liquid lotion. 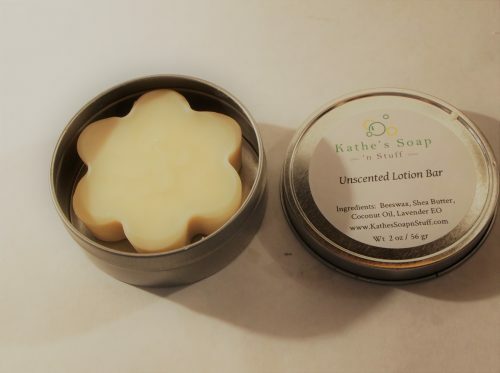 Lotion bars are great for general moisturizing, but are also excellent for dry heels, elbows, cuticles or knees. To use: Remove from the tin, hold it in your hands for a few seconds to soften the bar and rub it directly on your skin. The bar will soften as it glides across your skin. Ingredients: Beeswax, Coconut oil, Shea Butter, Vitamin E oil, Essential or Fragrance Oil. Please choose a scent from the drop down menu when ordering.